As our parents, grandparents, and other loved ones grow older, nursing homes and assisted living facilities can help them continue to live full and rewarding lives. As we become responsible for those who cared for us, we would like to think that we are placing them in good hands. Unfortunately, this is not always the case. About one in ten individuals living in nursing homes or assisted living facilities experience some kind of abuse during their stay. At The Law Office of Kamensky, Cohen & Riechelson, our personal injury attorneys understand the feeling of helplessness that can accompany learning about a loved one’s nursing home abuse. You have entrusted the well-being of a family member to this institution and sometimes that trust is exploited. Our experienced legal team have been protecting the legal rights of senior citizens for over four decades in local Pennsylvania towns including Northeast Philadelphia, Levittown, Doylestown, Quakertown, Langhorne, Warminster and the greater Bucks County area. Call our office today to discuss your needs and concerns when it comes to nursing home neglect or abuse and the potential for a personal injury claim in a free and confidential consultation. If your loved one has been a victim of direct and malicious abuse by a staff member, that may be a more legally complex manner than simply holding the institution responsible. Contact our Doylestown lawyers today to discuss the specifics of your case to learn more. What Constitutes Nursing Home Negligence in Bucks County? There are many forms of physical, sexual, and psychological abuse that may take place in nursing homes or assisted living facilities. Many times it is not a dramatic act of violence, but the negligence of the institution which can harm our loved ones. Nursing Home abuse or neglect took place. This will likely tie into the findings of a formal investigation by authorities. We will strive to show that some form of physical, psychological, sexual, financial, or other form of abuse or neglect affected your loved one. Any failure to fully take care of and protect residents may be considered a form of negligence. That abuse or neglect led to an injury. In order to file a personal injury claim, we will want to connect the physical injuries back to the incidents of nursing home abuse or neglect. This does not need to be as obvious as broken bones and black eyes, and can possibly include malnourishment, worsened condition due to improper medical treatment, and more. The damages were significant enough to be awarded damages. Ultimately, we will strive to show that your loved one suffered injury or other damages which led to either expenses or undue pain and suffering. If we are able to show these three items, your family may be eligible for financial compensation through a personal injury claim. 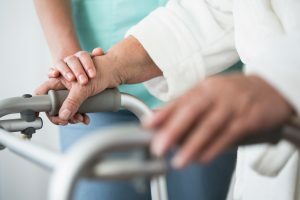 Nursing home accidents and abuse can be the result of a variety of legally negligent behavior such as premises liability, negligent security, defective medical equipment, and even malicious abuse. The personal injury attorneys of Kamensky, Cohen & Riechelson will examine the details of your case and seek financial compensation as we have done for victims of nursing home neglect for clients across Pennsylvania towns like Northeast Philadelphia, Newtown, Levittown, Warrington, Bensalem, Langhorne, and all of Bucks County. Contact us online or through our Bensalem offices by calling (215) 337-4915 today to speak with a member of our legal team in a free and confidential consultation regarding your needs and concerns when it comes to nursing home or assisted living abuse, neglect, and any injuries that may have been a result.